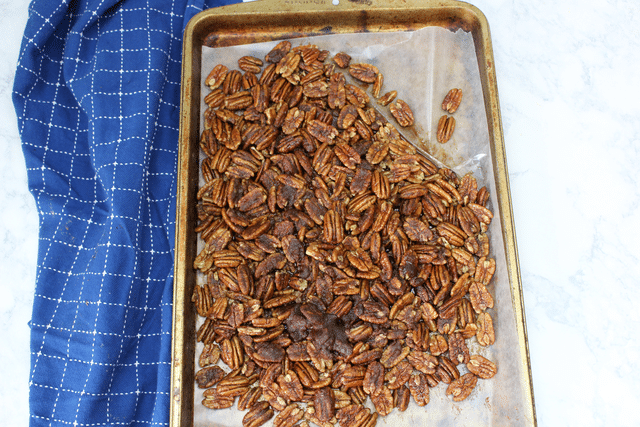 Have you ever made Cinnamon Pecans? 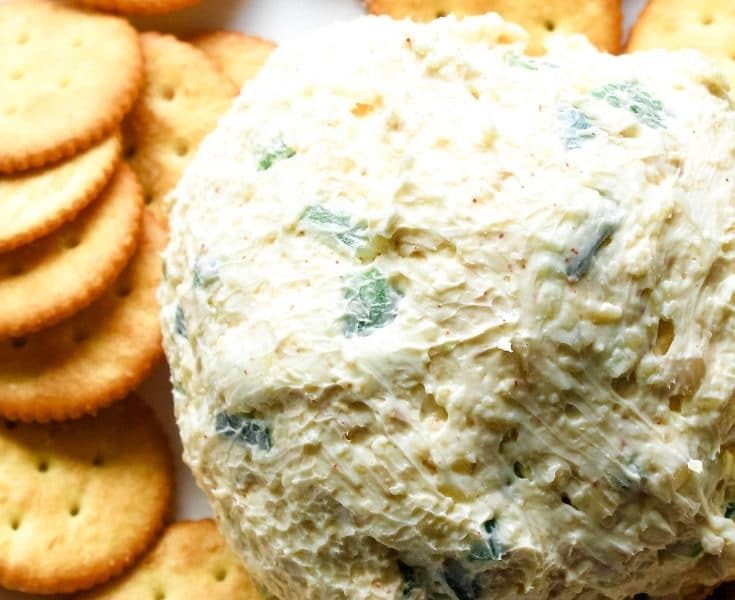 I have and let me tell you, they are an amazing treat to keep around the house. First of all, they taste delicious. Second, your house will smell amazing when you bake them. 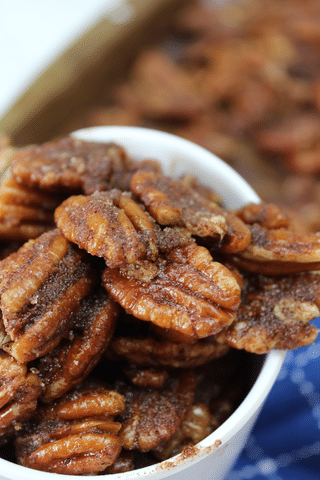 Not only are these Cinnamon Pecans are great for the snack table during the holidays, but they also make a fun and easy gift for friends and loved ones. 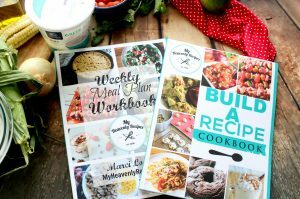 If you are thinking about leaning to more of a handmade holiday, food gifts are always a hit and these will be a well-loved gift! Cinnamon pecans and other candied nuts are always a tasty treat, but store bought ones have a lot of extra ingredients and frankly, cost a lot. 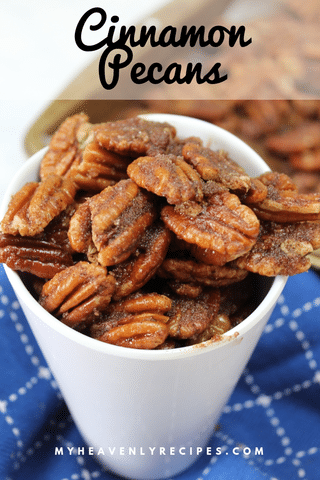 You can make these Cinnamon Pecans at home for a fraction of the cost of store bought, and they will be healthier! 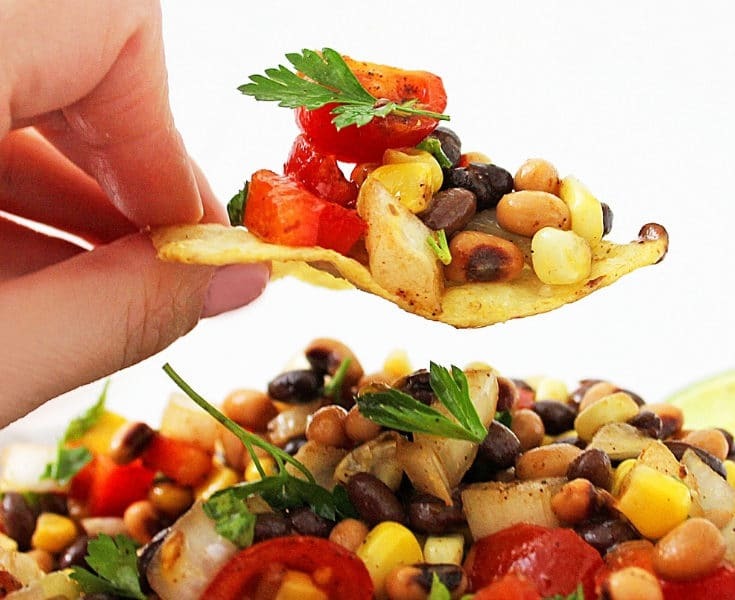 They are an easy snack that just about anyone can make. Keep them in a bowl on your table, seal them in a festively decorated mason jar and serve as gifts, or store them for snacking later, these cinnamon pecans are extremely versatile! 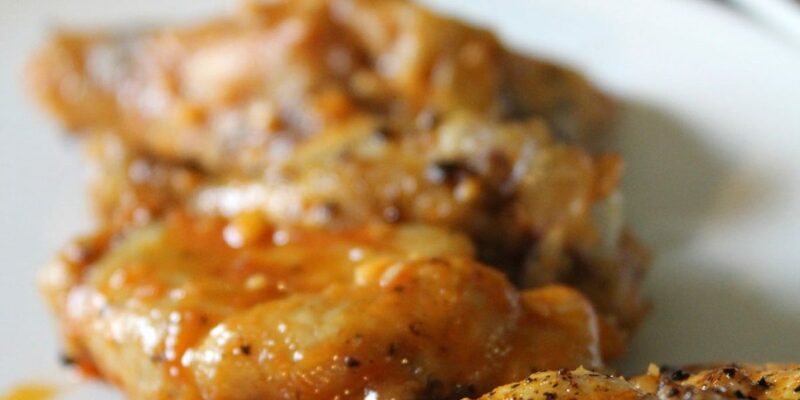 Use almonds, peanuts or any other nut in place of the pecans. 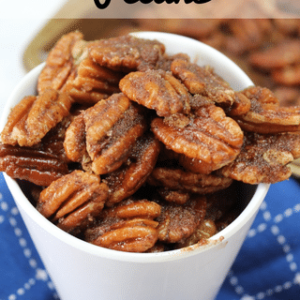 Enjoy these Cinnamon Pecans on their own or use them to top your ice cream, oatmeal or even your cinnamon rolls! Don’t overbake them. 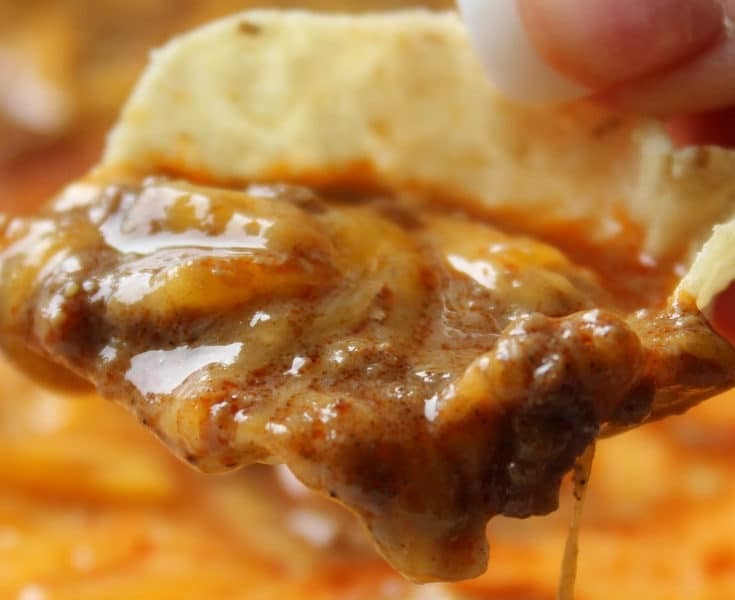 They take less than 20 minutes total of baking time, you don’t want them to taste burnt. 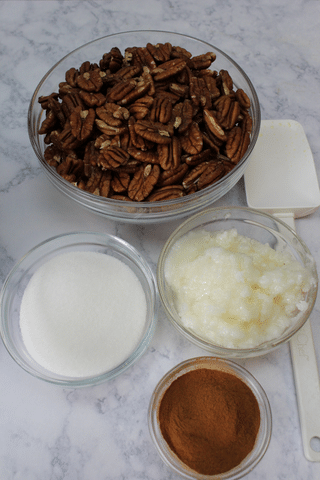 Melt your oil, sugar, and cinnamon while the pecans are in the oven the first time through to save some time! On a large baking sheet lined with parchment paper, roast pecans on 350 for 6-8 minutes until they become fragrant and release their oils. 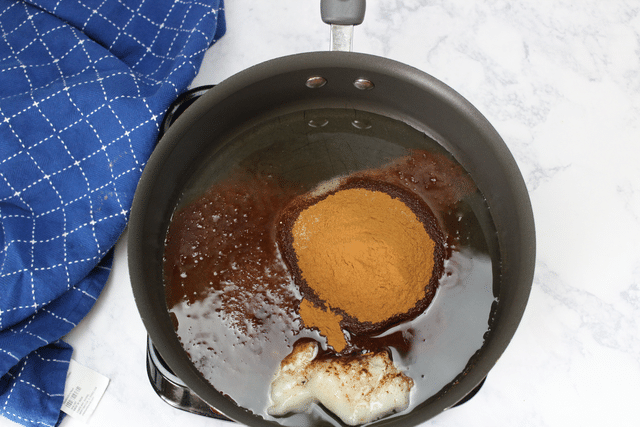 In a large skillet, melt together coconut oil, sugar, and cinnamon. Stirring until sugar dissolves. Turn heat off and stir in pecans, tossing together until pecans are coated. 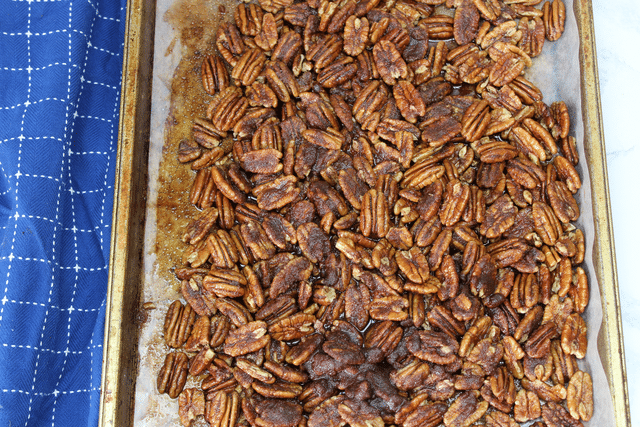 Place pecans back onto baking sheet and bake for another 6-8 minutes. 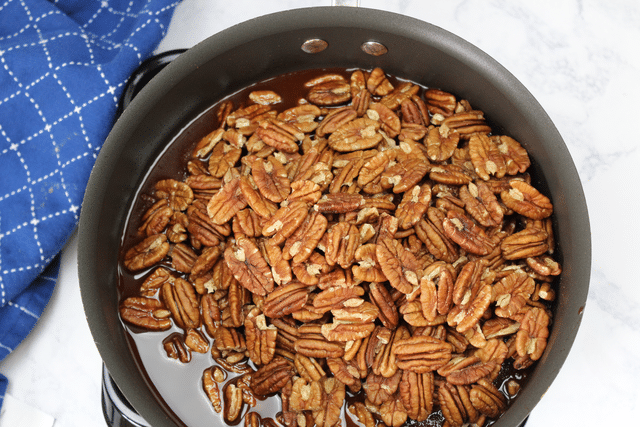 Serve and enjoy the delicious pecans & the smell of your home! 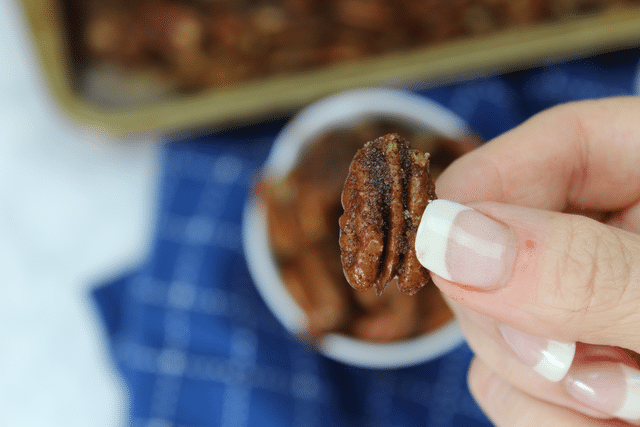 These Cinnamon Pecans are perfect to enjoy as a tasty snack or to give as a gift!